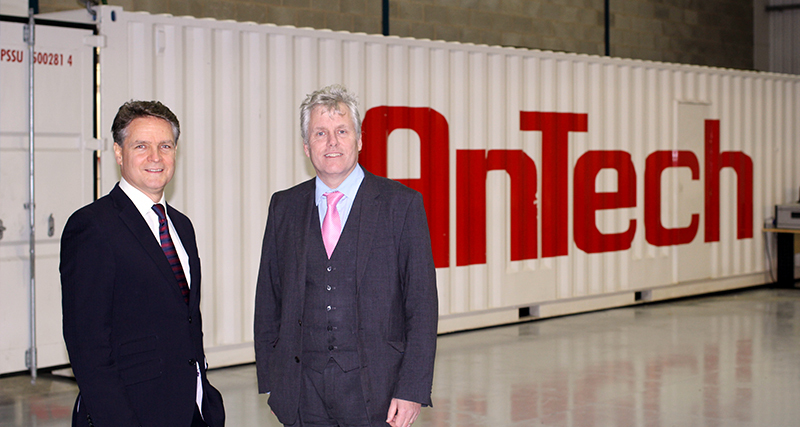 Directional Coiled Tubing Drilling (DCTD) provider AnTech Ltd has announced the expansion of its UK premises in Exeter, UK. Due to recent and ongoing expansion, the firm has more than doubled its workshop and office footprint for its DCTD service division by over 9000 sq ft. The UK expansion follows on from a successful year of growth, including the appointment of an agent in Saudi Arabia and Bahrain and the launch of a Houston office, which has increased AnTech’s global support for its customers. Founded in 1992, AnTech operates globally across two divisions, providing DCTD services and permanent completion products supported by specialist training. Its Coiled Tubing Drilling Service division delivers cost effective directional drilling services to customers, utilising AnTech’s proprietary drilling tools, teams and systems, whilst the Products division is heavily focused on meeting the highest industry standards in the completions market. Toni Miszewski, AnTech managing director said: “We are delighted to be expanding our facilities so substantially. This enables us to focus on developing our product, particularly our service offering, which supports clients by increasing production from depleted wells using DCTD technology. As we continue to expand globally in key regions, it is vital to also continue our strategic growth plans in the UK. Stratton Creber Commercial Property Consultants acted for the landlords of the units which AnTech has acquired. Company director, Andrew Hosking, said: “Securing an international company as a tenant is a testament to the quality of the commercial space on offer and underpins our position as the leading provider of practical and innovative solutions in the commercial property sector. AnTech currently employs a team of 50, and this number is expected to grow in the coming months, across all divisions, including operations, sales, engineering and production.